T3/T4, StageIII Turbine wheel with 61mm compr.wheel (550HP). 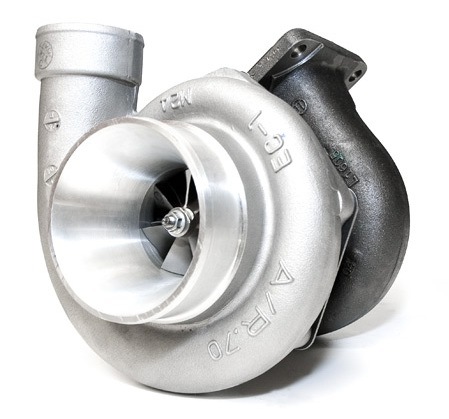 Turbocharger - T3/T4, StageIII Turbine wheel with 61mm compressor wheel (61mm inducer and 82mm exducer) and .70 A/R T04S Compressor housing with 4.0 inlet and 2.5 outlet (alternate T04E housing available with 3 inlet and 2 outlet). Journal Bearing Turbo. 4 bolt or 5 bolt T3 exh hsg with .48/.63/.82. Good for 550HP.